If your decorating style leans firmly toward time-honored antiques, Nashville’s a fairly decent place to be — we have a good selection of antique shops and centers in the area, including the Tennessee Antique Mall in Wedgewood-Houston (654 Wedgewood Ave.) and the GasLamp Antiques & Decorating Mall on the South side of town (100 Powell Place), plus one of the best flea markets you’ll find anywhere, in the monthly Nashville Flea Market at the Fairgrounds. But the best one-stop antique shopping you’ll find in Nashville all year: has to be the Antiques & Garden Show Nashville. Now in its 27th year, the show is billed as “the longest-running, largest and most respected event of its kind in the country,” with more than 150 dealers sharing antiques, art and more, plus architecture and design speakers and a few chances to raise a glass with your fellow collectors. Sound like your kind of thing? Pull up your calendar: This year’s show is nearly here, kicking off February 3 and running through February 5 at the Music City Center (201 Fifth Avenue South, downtown). Past Antiques & Garden Shows have attracted a serious A-list crew (Gwyneth Paltrow and Diane Keaton have lectured in the past), and this year is no different — built around a theme of “Cultivated Style,” 2017’s show is impressively expert-stocked. World-renowned contemporary classical architect Gil Schafer is here for a ticketed Preview Party that Thursday; on Friday, famed interior designer Nate Berkus (one of the rare names known to both design aficionados and your average Target shopper) heads up a keynote lecture; and on Saturday, a “Dream Team” of top U.S. designers (Mary McDonald, Nathan Turner, Jesse Carrier and Mara Miller) will talk inspiration, influences and rising styles. Sunday’s the big day for shopping, with the gardens open for browsing 11 a.m. to 4 p.m. (and coffee, Bloody Marys and snacks available to make things that much more pleasant). Florida’s Olivier Fleury Antiques, an importer of 18th and 19th century French and Continental Antiques , from furniture to lighting, clocks and art. 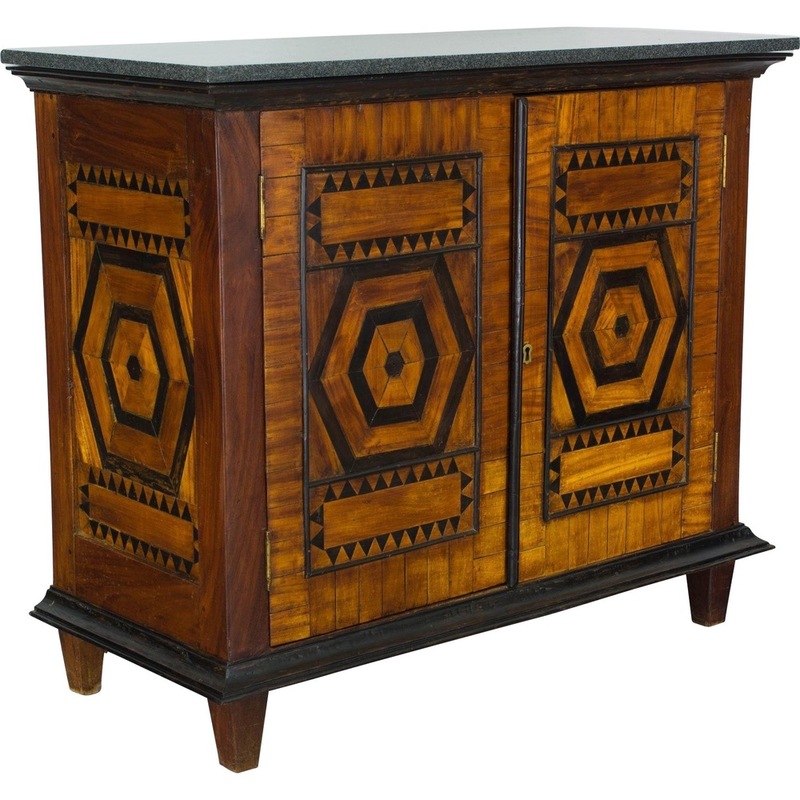 Among the pieces they’ve had recently: the above mahogany, cherry and marble Art Deco buffet from the 1920s. 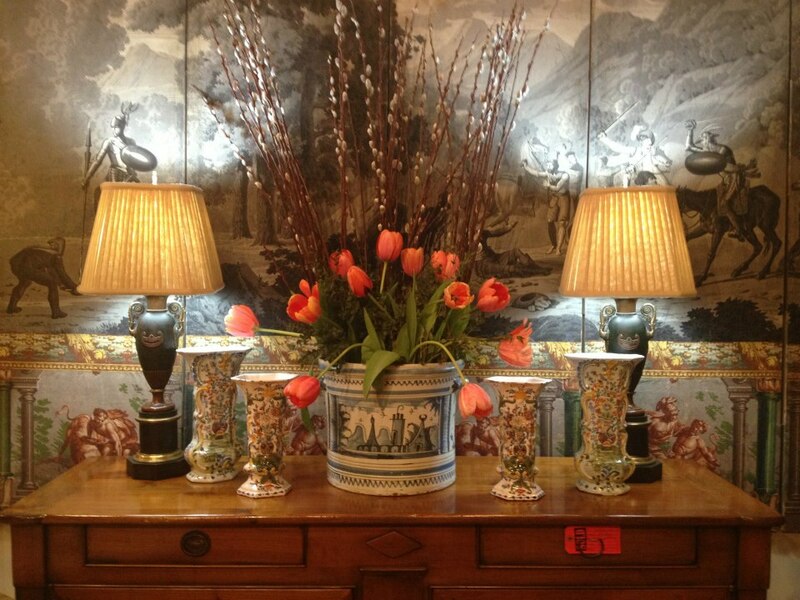 Check out more Olivier Fleury Antiques offerings here. Caroline Faison Antiques from North Carolina, who import continental antiques stretching from the 17th to 20th century. 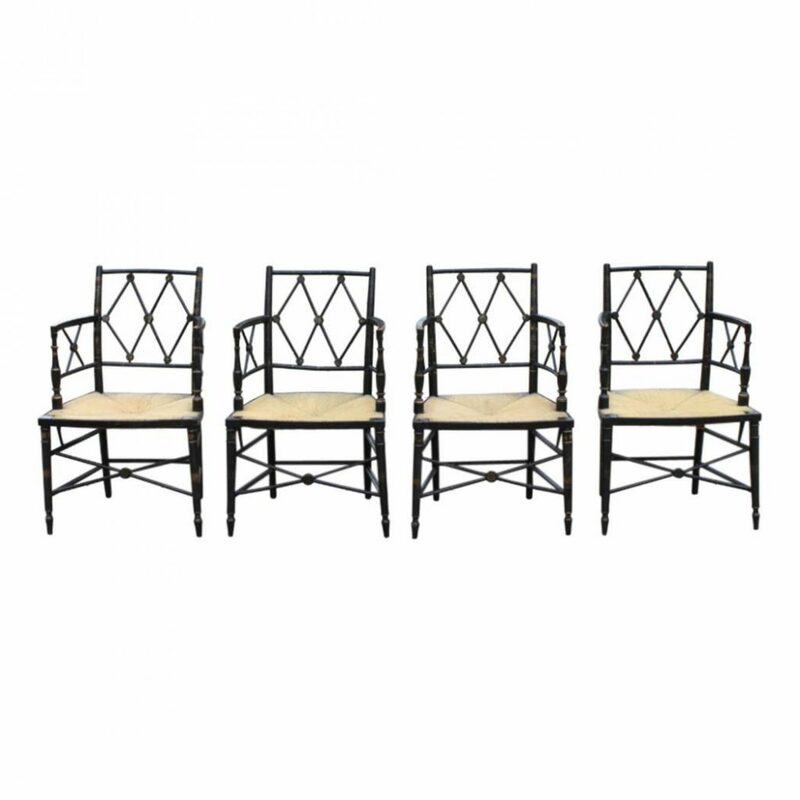 A particularly fetching find from their crop: this set of four English Regency arm chairs from 19th-Century England. Check out more Caroline Faison Antiques Furniture here. 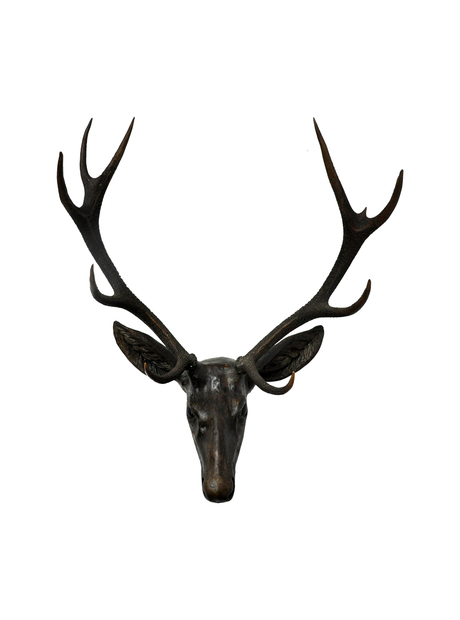 Illinois’ Barley Twist finds English period pieces, including furniture and accessories — like the above 19th-century stag antlers mounted on a carved wooden head, perfect for your upscale-lodge space. Check out more about Barley Twist here. Alabama’s Pickwick Antiques, which specializes in 18th through 20th-century English and French antiques, including furniture, paintings, porcelain and clocks. 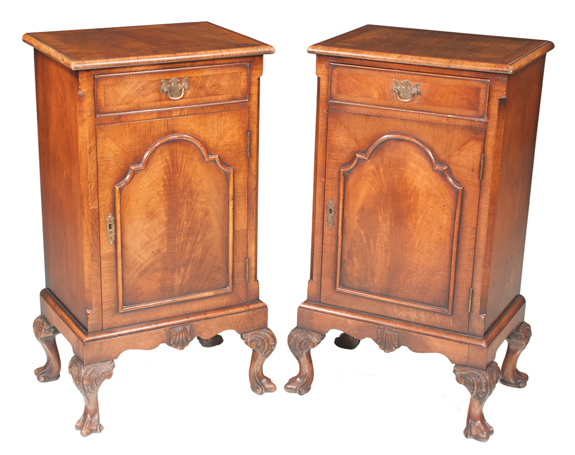 Featured eye candy: these Queen Anne-style walnut bedside cupboards. Check out more of Pickwick’s furniture here. From right here in Nashville (just south of Woodbine and Glencliff), Nashville Rug Gallery is a boutique weaving operation and collector of semi-antique carpets. One of their recent finds, pictured above: a huge antique Turkish Oushak found in Salzburg, Austria, that survived two world wars before making its way to Nashville. 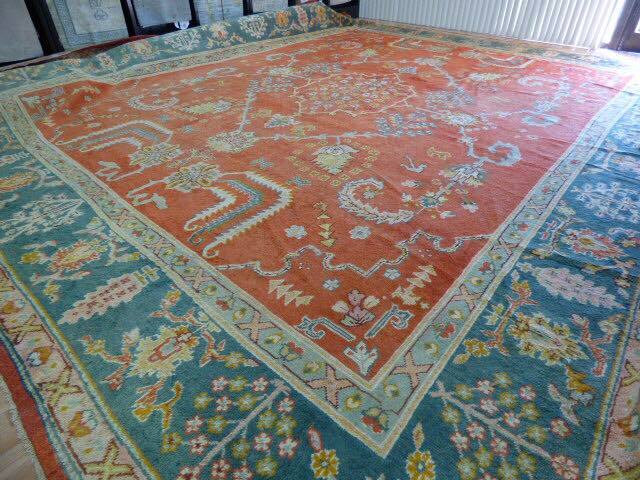 Check out more about the Nashville Rug Gallery here. As with past years, the Antiques & Garden Show is more than a chance to meet, greet, learn, admire and shop, too — it’s also a charity extravaganza, organized to raised funds to support Nashville’s treasured Cheekwood museum and botanical gardens, and The Economic Club of Nashville, a nonprofit that works with local children/family charities. So along with offering access to a slew of one-of-a-kind furnishings and accessories, your ticket ($20 through Jan. 29, $25 afterward) does some good for our community, too. Head to the Antiques & Garden Show Nashville website for more info. Hope to see you out and about that weekend! If you haven’t found the perfect home to fill with your favorite antiques yet, we’d love to help you track it down. Reach out and tell us about what you’re looking for.